This is a very inspiring story and few people can truely understand your family's emotions like my wife & I can. We are married with 5 children (3 girls & 2 boys). The two boys (ages 15 & 11) are very active in multiple sports (football, baseball & wrestling). My wife & I are former competitive athletes (I wrestled in college & my wife was a gymnast in HS). 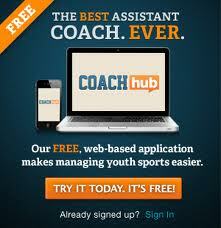 I have remained very active in coaching youth sports for many years. Our 11 year old (Andrew) was born with a congenital heart defect also. He had an emergency surgery shortly after he was born to keep him alive. He then had a valve replacement surgery when he was 6 months old. Fortunately, Andrew has been able to enjoy a very normal and active childhood and has matured into a good little athlete in each of the 3 sports he has participated in. He is also a wonderful student as well. Last Fall while playing football, we noticed that Andrew was becoming tired more frequently than usual and we took him to see the doctor. After a very extensive MRI of his heart function, it was discovered that Andrew's heart was beginning to enlarge and that he needed to have his heart valve replaced again. Needless to say, the next few months were stressful on my wife and I, but his surgery went smoother than we could have ever imagined (the surgery was last December). In the Spring, he was cleared for normal activity and returned to playing baseball. He is now playing football and playes fullback & outside linebacker for his 5th-6th grade football team. The surgeon advised us not to allow Andrew to return to the sport of wrestling because of the demands on the cardiovascular system. When I came across your story, many memories of the anxieties leading up to and during Andrew's surgery, and great relief and joy after, came rushing back. I wish you and your son the very best success. My son goes to a cardiologist every year. Every year we worry about new issues as my son grows. We worry about his valves which have always had some minor leakage. We worry about the heart enlarging. We are hopeful that we will not have to endure the pain and fear associated with another surgery but knowing that your son was able to get back to normal activities after a surgery in his teens is comforting. Wow, what a story, and I sure can relate. My daughter had CHD surgery when she was three days old. She was transferred from where she was born to Children's Hospital Los Angeles. We just celebrated her second birthday nad she is doing great. I love your blog, and now I love it even more having read this. God bless. Tommy - I read your first blog post about your baby girl's first day. (www.lifeofdad.com) It took me back. Children's hospitals and doctors and surgeons are sent by God. I will be following your blog now. Thanks for reaching out. My friend had a similar story. When he was born doctors said that he wouldn't be able to walk. But his mother didn't give up and now he is a participant of swimming competitions.